For Zack, Lara, Fedilto, and Amalia. Thank you for taking time to be with us, Sir. 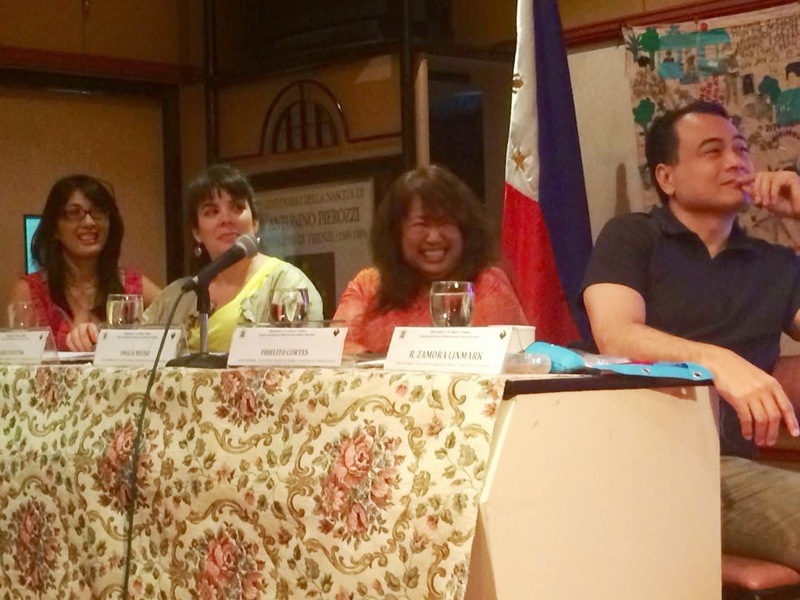 We are Filipino American writers. We have come home to the islands where our ancestors still inhabit the land, the province, the war-torn city of their childhoods. We are in search of our origin stories, looking for the details of where we come from. We have heard stories from our parents and our lolas and lolas. We have been imagining the tables where they sat to eat their meals, the paths they walked to and from their schools, and the mother nation they call “back home.” We have been wondering where the stories were lived. We have come home and we have been invited to this stage to share our written works. Our experience is different than your own to be sure. Our writing concerns and reasons to write will be different. But let me ask you this: Have you ever imagined what life might be like if you were raised to be a Filipino far from these islands? Have you ever imagined what it might be like to grow up and read the stories of the people around you and never see your own? To be writing in a nation that has traditionally washed the walls white and made our own stories invisible not only to the culture at large but to ourselves? Of course we have a longing to be back home, even as we have never lived here. What a complicated identity we have. Unlike you, a National Treasure in a nation where you are part of the dominant mainstream culture, our stories and poems in the United States are not and might never be mainstream. We write from the space of the Other. We write our stories because no one else will. No one else can. We document our existence so there is a record. And for whom? Probably ourselves first. Then like-minded readers after us. And if the whole world wants to read us, then they too. Do we think of audience? If you mean you, sitting there thumping your nails on a desk top as my friend reads, if you mean you, then probably not. Stop the program! You, who have walked in late, who talks loudly and huffs and puffs in the front row, you announce you are bored. The work we read bores you. Had I been a younger writer, you might have shaken me. But I am not. One of the lessons I do my best to impart on my students is to have a strong sense of self. To know your strengths and weaknesses and to believe in your own work. So no, you do not shake me. “What role does your Filipino identity play in your work?” you want to know. And if you took a moment to listen you might hear the answer in our stories and our poems. You might see we write from the position of naming our identity and occupying the space we have created, to suit not the masses, but our individual hearts. You might hear we are not here to compete with you but to honor you and the writers of this literary nation. We are here to write a story that is different than yours, but born of a long tradition that, like it or not, we are a part of. I was not offended when you interrupted. We are all family. And you, dear National Treasure, are behaving like the doddering uncle who has lost his filters. It is okay. We understand.